Objective: Play for the highest possible score using the difficulty settings defined in the challenge. Post a photo or video of your score in this thread. Scores must be achieved between February 1st through February 28th, 2017. Screen captures are not allowed as they are easily manipulated for falsified scores. Multiple submissions are permitted. The player with the highest score at the end of the 1-month competition is the victor! Difficulty Level: ADVANCED. At the startup screen move the Joystick handle left or right to scroll through Novice, Intermediate, Advanced, and Expert, to select the ADVANCED skill level. Funny story. 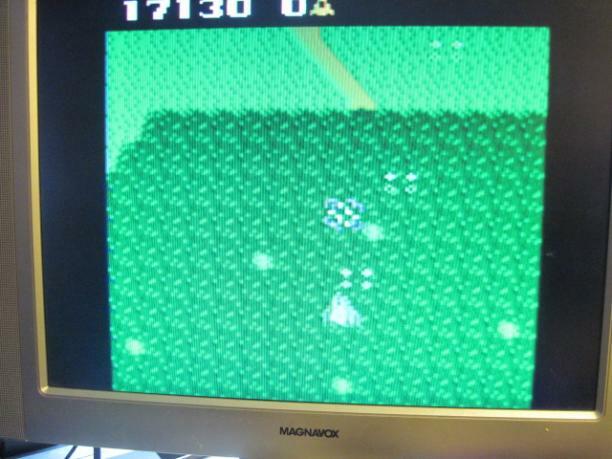 After seeing this was the game for the month, I found out I sold a copy of Xevious on eBay! Thanks for helping me make some sales Justin! I have this game for the 7800, but I honestly don't think I've played it more than twice. Time to get on it! Haha you're welcome! That's what we're for! Time to drag out my 7800, my best 7800 controller...and some Alieve. I feel some hand cramps coming on LOL. I'll take it!! Yea...I wish. I would love to get my hands on one of those But...I may switch to a Genesis controller doing this challenge however I am going to try to keep it all original hardware. Atari had some nice hardware with the 7800 but they should have given the Pro-Line joysticks a better balancing point. It's too top heavy to be comfortable. I had a dream about that 7800 control pad the other night!! One day it will be mine, oh yes, it will be mine. Well I don't have anything fancy as far as a stick but I do have my Wavebird attached to my Wii. I know I missed the last challenge but this one oh should he able to post something about.! Jumped on for about 10 min to warm up. When there is less glare on the TV I will take a serious stab at it. 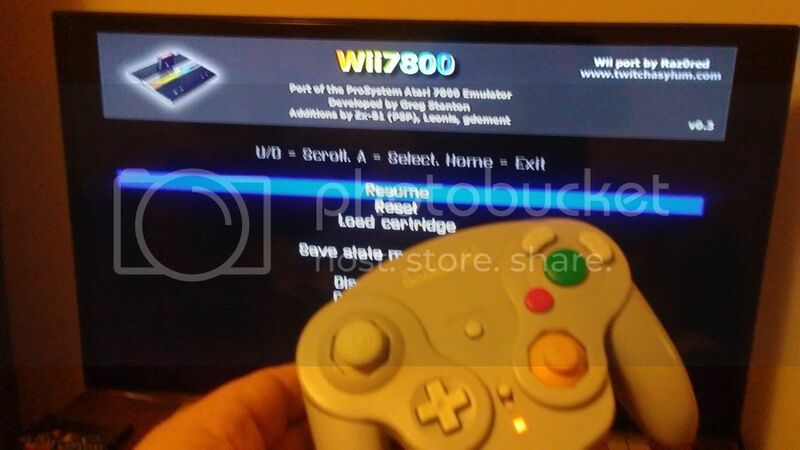 Oh, I'm using Wii7800 emulator on my Wii and a Wavebird controller. 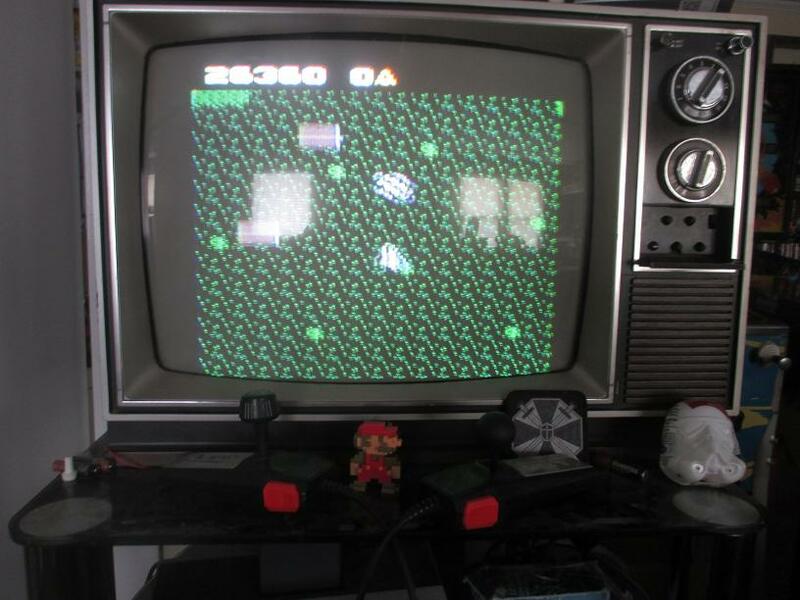 I have the cart but no 7800 to play it at this time. I keep trying to get the 7800 emulator on my wii but it freezes everytime I scroll to the emulator on the homebrew browser. Any ideas Atari Creep? I've been playing on the 7800 but the score doesn't show that it's on the advanced setting. No it doesn't show, but we use the honor system. Yes we do. and I'm cool with it. 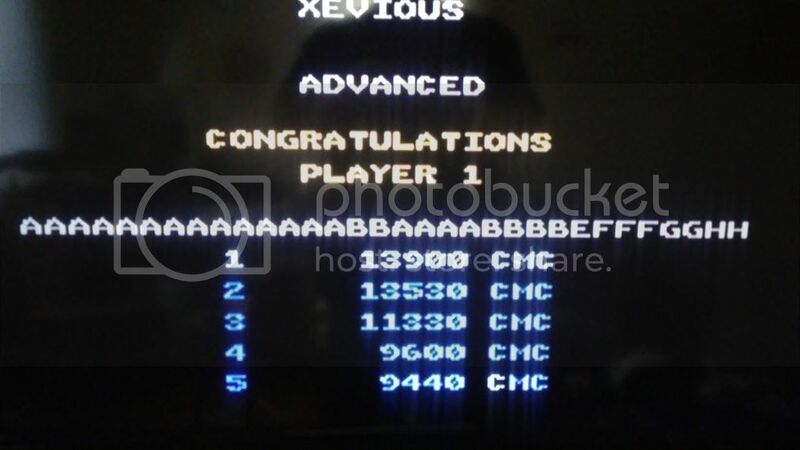 First post with a 2600 controller played on a 7800. I played with a pro-line (ball mod on right) and noticed both guns and bombs fired at the same time. I held controller sideways with index finger hooking the fire button on the bottom. unlimited ammo unlike the guys in origonal Star Wars who didn't want to waste a shot at the escape pod holding the droids. I figured you could use any stick or pad for this if that's the case.